Hello! Women, it’s all about ankle boots and their combination with jeans which we’ll be talking about today. Many of you’ve asked me this question, “how to combine ankle boots with jeans?” If I were to say, I would simply suggest, just do it as you want to do it! Off course there are reasons for it. You know what makes you most comfortable and always remember, the best way to dress nicely and look fashionable is to be confident of what you wear! There are many right ways to wear ankle boots but naturally your preference matters! Don’t be stressed, girly! We know you really need some guidance as we (women) are always unsure and need thousands of assurances (Yeah! Yeah! I know it). So we’ll try to give you all clarity today! And you definitely deserve to know about these stupendous Skinny Jeans Outfits ideas that will make everyone incredibly jealous of your smartness. 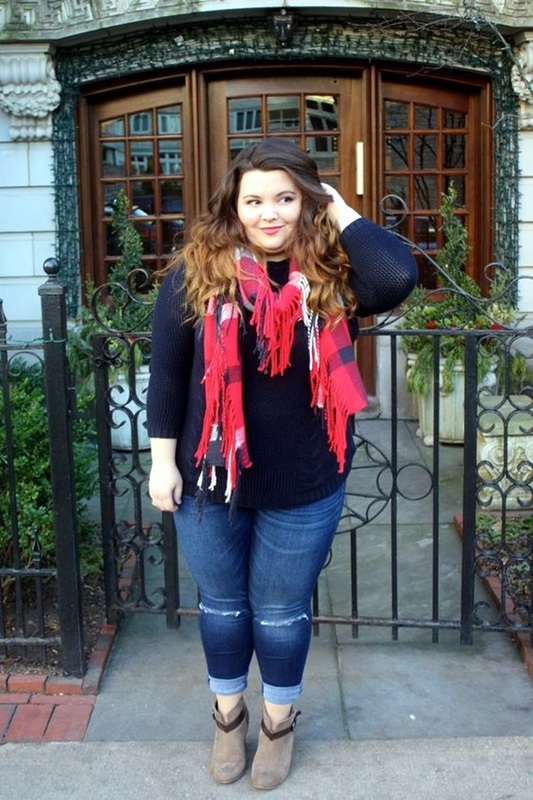 Skinny jeans with ankle boots – Roll it! Well, this wouldn’t impress you or anybody if you simply wear your skinnies with ankle boots, it’ll look absurd rather! We suggest you simply make a messy roll of your skinny pants, which is not at all wrong. Roll the cuff of your jeans just above the boots. This way you can easily show off your ankle boots and look fashionable at the same time. 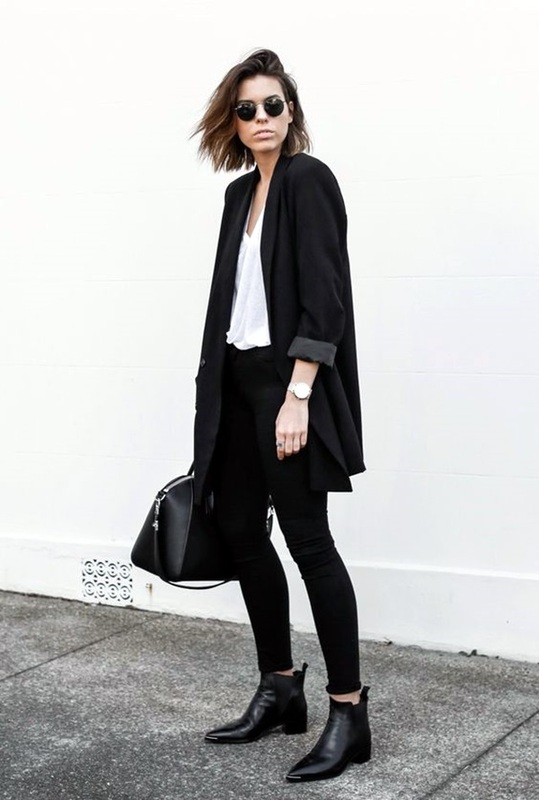 Let us check out some interesting cute skinny black jeans outfit that would help you acquire that stunning look. Crop your pants to a perfect length! Yeah! You just need to take a pair of scissors, girly and cut down your denim in order to make them of a perfect length which will let you show off your ankle boots without any hassles! We suggest you to take proper measurement and mark with the pencil where you’d like to cut it. This is good in many ways as it’ll give a fresh look to your boring pants. How about jeans with zipper? Ankle boots with jeans aren’t much problem actually. You need to get the right idea as to how to wear them fashionably. This season we suggest you to opt for zipper pants! Yes Zipper hem, women. You just need not to tuck them into your boots, rather open the zipper and leave it open and un-tucked over the pair of ankle boots! Yeah! How simple it is! And don’t worry open hem is too good to go by this winter! Believe or not, I’ve been actually doing it, girly! 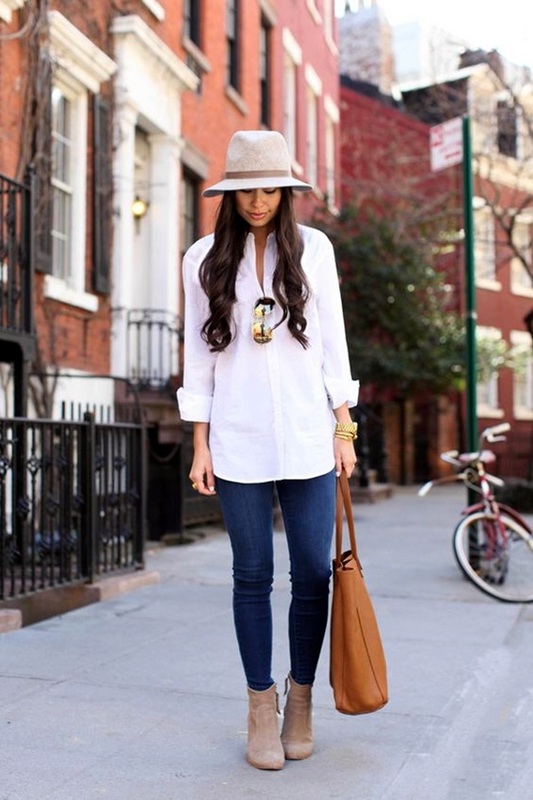 If your jeans are too long that they even cover up your ankle boots, then simply fold the hem inwards and enjoy! This will allow you to show your ankle boots in the best light without even chopping off the length of your jeans. You can even tuck the fold inwards so that it becomes completely invisible. But, remember, you need to do this before pulling up your pants. Yeah! Iron the cuff so that the crease stays the same all day. Match the color of your boots with your jeans! This is even more interesting and a perfect way to create style statement for all the women who work. Whoa! That’s sounds interesting. Yup! 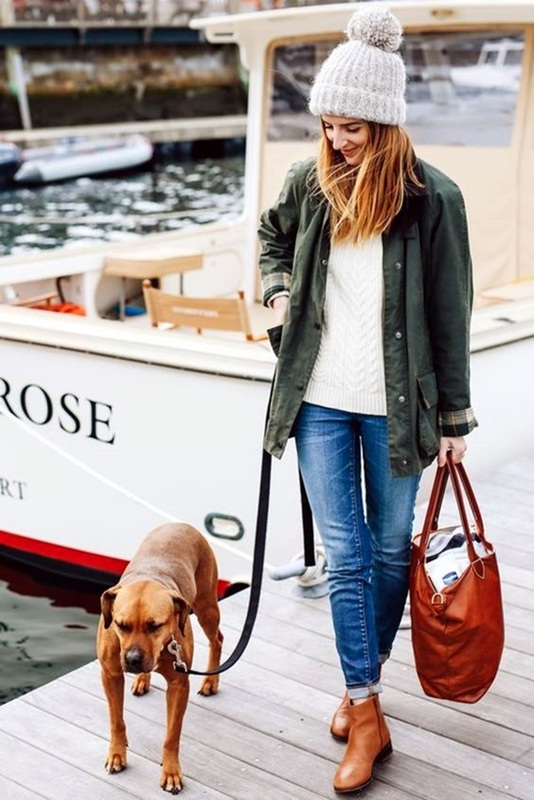 You can make your legs look longer and leaner by choosing the same color of your boots as well as your denim. Yes! Yes! We’re asking you to go monochromatic and there are reasons for it, gals! High-heeled boots or your ankle boots with jeans need to paired-up rightly! And when the colors are similar or complimenting each other, then get ready, as you’ll be receiving many compliments as well! 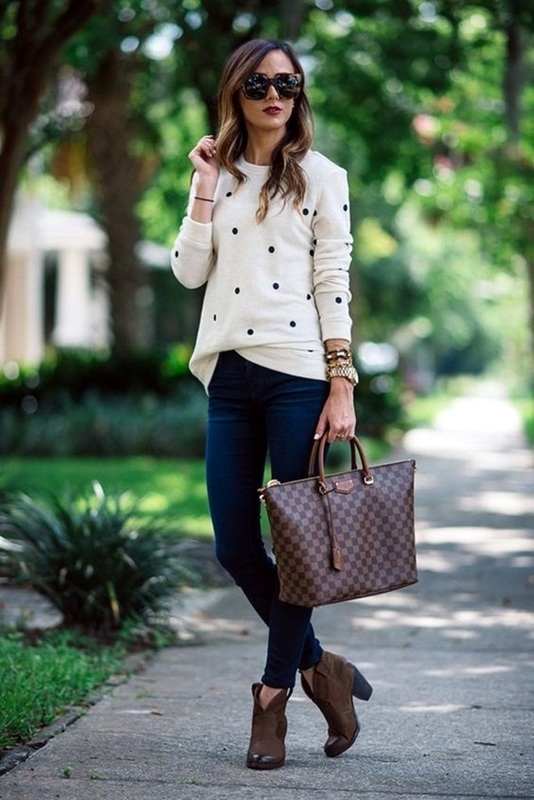 But for some others white jeans outfits are simply cool and effortlessly chic. They are the most versatile piece of clothing one must own in their wardrobe. 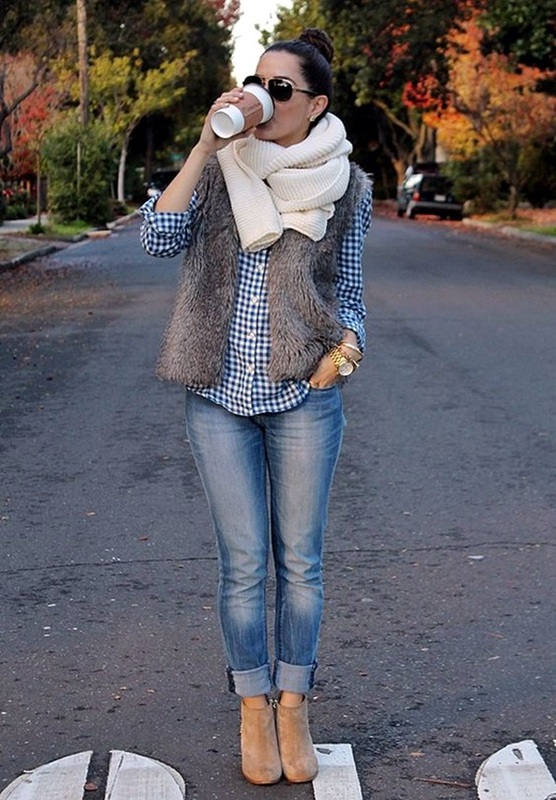 There can be plenty of other chic ways as well to style fashionably with ankle boots and jeans! But, for the time being, we suggest you to try with the above-listed ideas and share your feedback. We are confident that you’ll love to flaunt your style ideas. So, just relax and enjoy styling!